On Saturday, 12th August, 2017, Reconcilers International holds its 5th edition of Young and Free at the International Charismatic Church (ICC), Fadama in Accra. Since 2013, Reconcilers International has organised their theatre program, Young and Free; a night of drama, choreography, spoken word and music. It is a program designed for the Youth and lovers of theatre. It aims at ministering the word of God through the Arts to its audience to help them in their walk with the Lord Jesus Christ. It also seeks to help reconcile lost souls back to God the Father: drawing them away from waywardness and showing them they can be young and still have a meaningful life of purpose and freedom that comes from God. Ministering at this year’s Young and Free is Lord Bondzie (of No tribe fame), E-Rock, Worship Revolution and Reconcilers International (Host). They have had sponsorship, over the years, from a few generous corporate brands like Carex from PZ Cuzzons and Kharis Media, and also from individuals like Uncle Ebo Whyte and Roverman productions. With these valuable supports, they have worked hard to bring educative, hilarious and heart- warming drama, inspiring spoken word performances and spiritual music to their audience. Their stage set-up for the drama is always a sign of how much diligence is given to what they do. They have had acts from amazing artists and groups like Akesse Bempong, Kinzkid, Worshippers and Worship in Motion on the Young and Free platform. These young people made up of students (both High School and Tertiary), graduates, engineers, architects, teachers, illustrators, artistes, photographers, bankers, entrepreneurs among others, have this in common; love for God, love for the arts (Theatre, Dance and Poetry) and a desire to show the love of God through these art forms. Nothing is as inspiring as a youth on the move to make an impact in their immediate world. You will have to be at a Reconcilers International meeting or rehearsal to see these young people who are Christ-driven and desirous to bring positive change to their world in their own small way. According to the president, Ing. Pastor Yooku Yawson, Young and Free isn’t the only project they do. Reconcilers International has a Mentorship Program that is conducted termly in JHS and Senior High Schools to inspire the mentees to become their best selves. They also have a Scholarship Scheme that currently takes care of the tuition of about 21 students in basic and JHS from four public schools in Accra. The scholarship continues to provide support when any of the students excel in their BECE. Currently, they have one of the beneficiaries of the scheme in St. Aquinas studying General Science. In addition to that, they will be going for their first outreach program at Bole – Bamboi in November. The members have started donating items towards this outreach. Then Airport City with Sark, BisaK’dei, kinaata, D-black, Medikal and Akwaboah. Now we are coming to a neighbourhood near you. 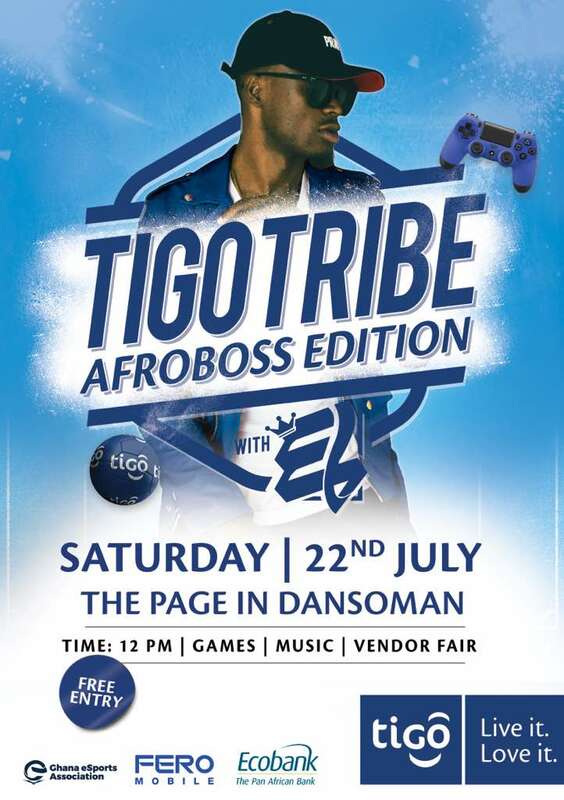 The Tigo Tribe Xperienceis making its next stop in Dansoman with EL! This Saturday, 22nd July 2017 at 12pm. Is that one too a gamer? ….before you ask, yes amazing prizes await the winners! Activities lined up include, FIFA tournament, Mortal Kombat, treasure hunt and many other exciting games, and of course music from the Afroboss king himself, not forgetting our amazing vendor fair. Entrance is absolutely free, so be at the Page in Dansoman this Saturday at 12pm sharp!!!! The Tigo Tribe Xperience is powered by Tigo, Ghana’s favourite network. Tigo Live it! Love It! Wine lovers and dealers will have another opportunity to sample and participate at this year’s Wine tasting event scheduled for July 15 at the Movenpik Ambassador hotel in Accra. Wines of South Africa (WOSA) is bringing together the best wines makers and brands from South Africa for the grand tasting tour. The grand event is an initiative of WOSA (a non – profit Organization) to promote the world acclaimed South African Wines to consumers around the World. The tour in West Africa, and particularly in Ghana, is in partnership with JON WILLIAMS Events Company which has joined forces with WOSA to promote quality South African wines in Ghana. The team will interact with consumers, wine distributors and wholesalers as well as the hospitality and Tourism industry in Ghana. 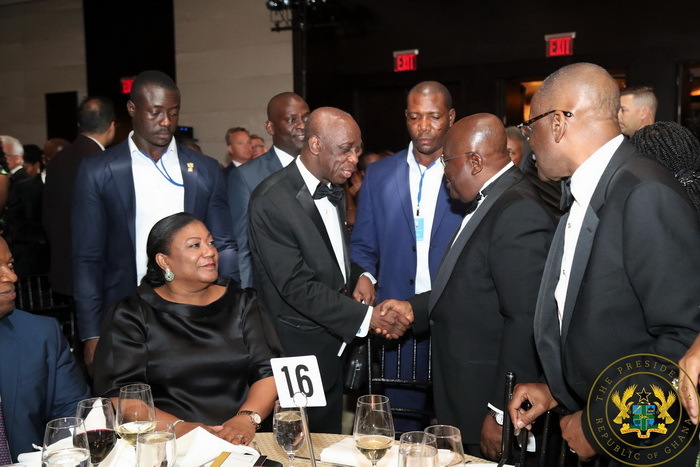 Over the last few years, Ghana has been selected as a strategic destination in West Africa due to many factors which the organizers are hopeful will be the epitome of great hospitality, business and pleasure for all stakeholders in the industry. Ghana holds an enviable position as a favorite investment destination in the sub–region, and with a strong bond of business between South Africa and Ghana. The July 15 WOSA wine tasting tour in Accra is supported by Starr103.5fm, Live 91.9fm, GHonetv and all brands under the EIB network. Chow Ghana is Ghana’s first local food festival that seeks to showcase the culture of Ghana mainly through traditional food, performances and display of art, culture and dance. The event is slated for the 10th and 11th June 2017 that’s on a Saturday and Sunday and will be held at Venue Gh, located behind Tullow Oil at Dzorwulu. Chow Ghana is envisioned to be a household event held annually to attract both locals and expatriates from all walks of life to come and have a feel of the First Ghanaian food festival. Ghanaians love to defend their food to the death! Not to talk of Ghanaian Jollof and the endless rant around their favourite waakye spots, so we thought, why not bring theses favourite traditional meals together, foster creativity and birth happiness through food. 7. promoting made in Ghana products, promoting local and international tourism in Ghana. FOOD FORUM: How can we instil creativity & innovation in local food making? How can we better market, package and process our local food for global markets? FASHION SHOW: The Evolution of Ghanaian clothing/ fashion over time. HIGH LIFE PERFORMANCES/ARTISTE PERFORMANCES: Afro-Jazz ( starting from 6pm). EXHIBITION: More than 100 local food vendors, made in Ghana producers, fashion designers, health practitioners, bloggers etc. showcasing their products to more than 4,000 attendees. DINING EXPERIENCE: Live cooking demonstrations and fine dining. You will pick and choose from ten tasty dishes from 5 of Ghana’s finest Chefs all under one roof. Royal treatment as you explore some of Ghana’s finest local food offerings. Bringing together fascinating brands & exciting consumers to deliver great, themed experiences.